Hammonds Canada HIFI Transformers SET (Oversized / Construct with high quality M6) / CSA/UL Listed. Mundorf ZN Caps, CMC Gold RCA and Furutech Gold IEC...etc. Testimony : An email from our new Swiss customer, and we know it will sound even better after it's broken in! If any Swiss customer ask for a demo, send them to me...they will die for :-) "
Data for reference only, numbers varies subject to conditions. Following numbers are measured / tested with KT88 and 5U4 on 120V service. 5V4 can also be used with less power output. GZ37 and 5AU4 are not suitable. Warranty void if used. Our best shot design around with the KT88 / 6550 type tubes in Push Pull configuration. Special attention is paid to the power supply and regulate circuitry, which is added to ensure quiet operation and measurements, a high-quality choke (made in Canada) and dual power supply e-caps are also in place for beating our competitors on the market. And thanks to the high quality and cool running proprietary Canadian power transformer, it will allow the amps to run hours without sweat, but great music. 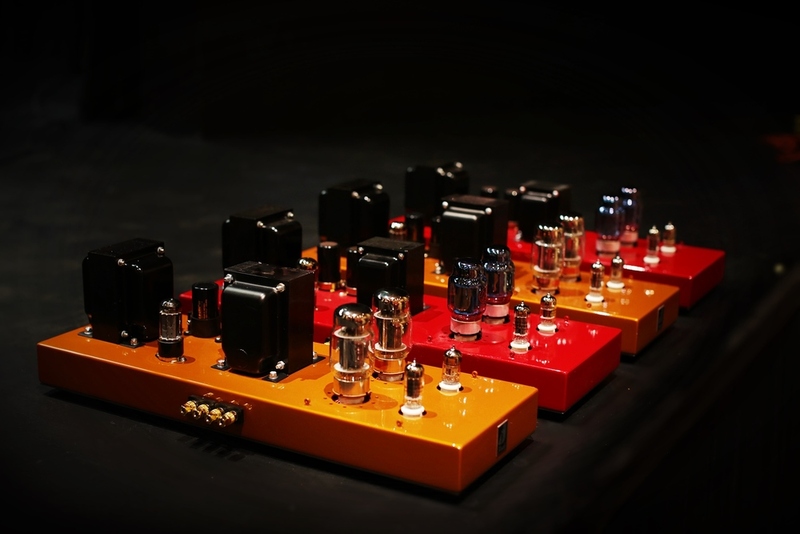 Our output transformers selected is also the best on the market, and are made better than what we expected, from the top to the bottom of the spectrum - it sounds fantastic as well measured grand. To those who wants even higher power, we could choose an even bigger-sized output transformer to get over 80W per channel. Like our other amps, the F120II is made with pride and engineered to last forever. The is the reliable. 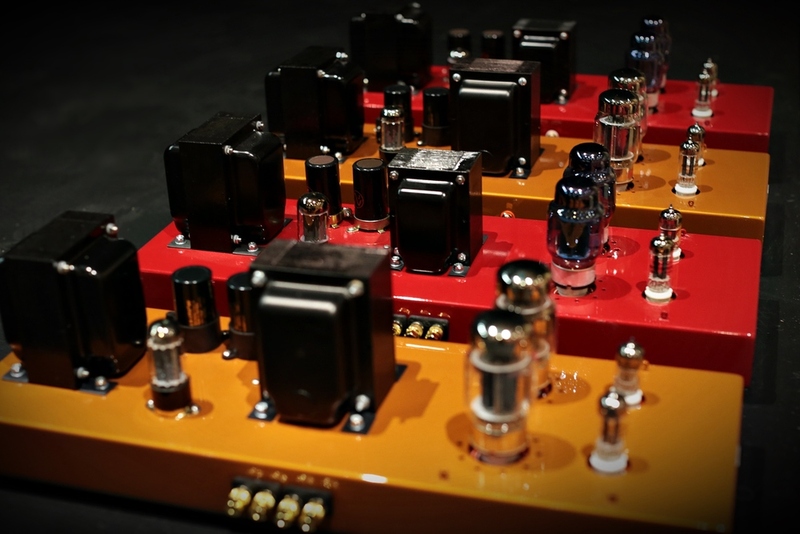 high end, and exceptional sounding KT88 amp you've been looking for! Proudly design and engineered in Canada! Lots of upgrades and options!